Formerly known as ARC (attack-retrieve-capture), and now called Armor Critical. This top-down 2-d shooter is highly addictive to competitive gamers. 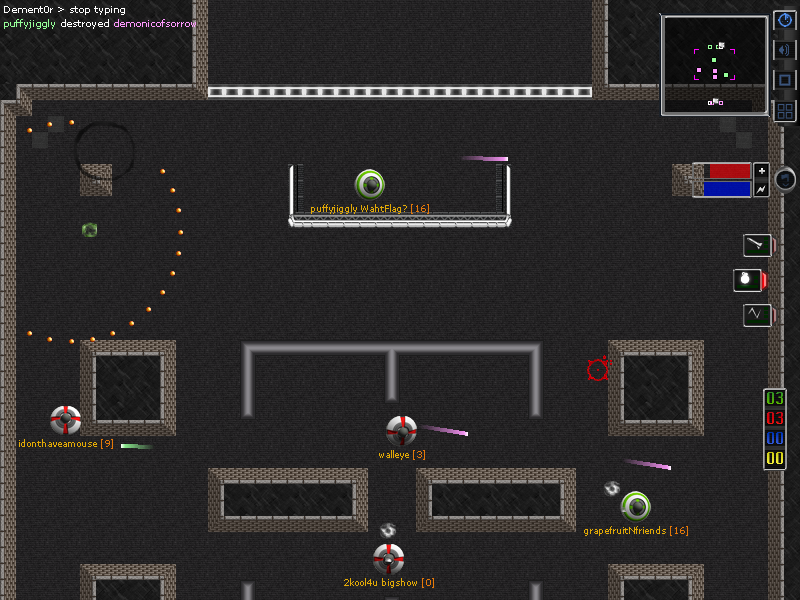 Use lasers, bouncy lasers and grenades to defeat your opposition and return their flag to your base. The controls are easy to get started but mastering the nuances of combat and team strategy has kept this gamer entertained for years.